One of the most terrifying stories of the twentieth century, Shirley Jackson’s “The Lottery” created a sensation when it was first published in The New Yorker in 1948. 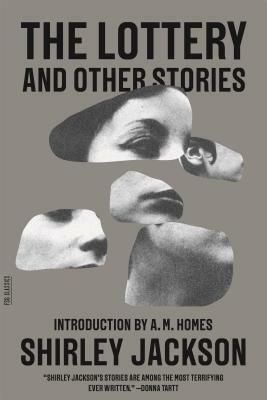 "Power and haunting," and "nights of unrest" were typical reader responses. Today it is considered a classic work of short fiction, a story remarkable for its combination of subtle suspense and pitch-perfect descriptions of both the chilling and the mundane. The Lottery and Other Stories, the only one to appear during Shirley Jackson's lifetime, unites "The Lottery" with twenty-four equally unusual short stories. Together they demonstrate Jackson's remarkable range -- from the hilarious to the horrible, the unsettling to the ominous -- and her power as a storyteller. Shirley Jackson (1916-1965), the author of The Haunting of Hill House, Hangsaman, Life Among the Savages, and We Have Always Lived in the Castle, is considered one of the masters of modern gothic fiction. She is perhaps best known for her short story "The Lottery." “I implore you not to read this story unless you can take a day or a week afterward to think about it. A great story, like a great vintage, throws a crust of sediment which may destroy­ the bouquet and cause ulcers later. If you don’t feel the tweak of the ulcers, you haven’t really read this story.